You might know Dropbox as a great way to share documents amongst each other. And it is. You can drag and drop files from your computer into your Dropbox and have them both on your computer as well as in the cloud. And if anyone changes the document, or adds something to your folder, you get it immediately. Dropbox was one of the first services to launch a solution to integrate cloud storage and your computer storage. And together with their very intuitive user interface, that has made them a market leader. But the vision of Dropbox goes beyond just saving your documents. 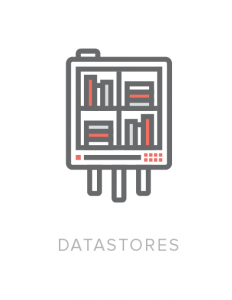 At their developer conference, Dropbox has introduced a new set of developer tools for their new Datastores API. Essentially, this turns Dropbox from an application into a platform that software developers can use to integrate the use of Dropbox into their apps. That means that the storage will no longer just be used for documents and pictures. Software builders can now also use it to store your contacts, your text messages, your game progress, or your progress in your Bible for instance. You can then switch over to another device altogether and have the same information at your fingertips. This idea is not new. Already, iOS devices synchronize certain apps and Google has provided synchronization between several of its services across Android devices and even computers. However, the Dropbox solution could be the first to be absolutely independent of the platform or the device you are using. And that makes it an interesting solution for software makers who see their users switch from iOS on their iPhone to Android on their tablet and to a new Windows Phone for instance. Three platforms that have not really integrated together, can be brought closer together for users through the Dropbox interface. The Dropbox option is an interesting one. It means that the transition of the data you are using will be seamless for users. If you are developing software, that might give your app a great advantage over other apps that do not have that flexibility. And if you are an average user, that ties in well with your personal use of Dropbox where you store things in the cloud that you want to be able to use seamlessly. Regardless of your device or your location, you can always get to your Dropbox. Now we will have to see whether Dropbox will come to you. What things would you like to easily share between devices? Have you ever been frustrated by information that was available on one device, but not on the other? Tell us in the comments. Nokia is making new announcements in New York City. We will be giving live coverage of this event at Techpastors. It is always best to learn from the source. That is also what Twitter will have thought when they launched their new Twitter Media Blog last week. The effort is obviously two-fold. Where many of Twitter’s user accounts are dormant, this is an effort to have people and brands wake up to the power of Twitter. After all, it has been a proven fact that an active account is more successful, which in turn makes it more active and so on. 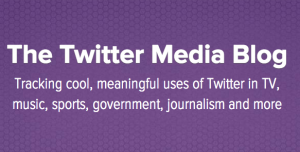 Twitter states on the blog that they will be focussing on a number of subjects. Churches and Christian organizations are not mentioned, but fear not, there is enough to enjoy. Like the way in which Michelle Obama took her followers to Africa on Twitter. This is a nice example of what you can do with your next mission trip. You might not reach the 400,000 followers she has, but you might take your sponsors or church members along on a trip neither they nor you will ever forget. Tell us how you use Twitter to share your stories. We will feature the best on Techpastors.com later this year. MyLife.com did a survey in America on social media behavior. And it reveals that many social networkers are becoming overwhelmed by all the balls they are trying to keep in the air. As the number of networks is growing, so does the pressure to keep up with everything and everyone. This is called the Fear Of Missing Out and it has already become an official abbreviation (FOMO). The stunning thing is that over half the people using social networks are suffering from FOMO. An interesting counter movement is the trend to take a “vacation” from online media. 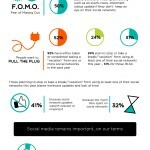 About 52% of social network users have either planned or taken a time-out from their social networks in the past year. So, what about these statistics? Are they showing us that social networks are unhealthy? That social networks bring us more stress? Well, they might. The trouble that we see in many that start using social networks, is that they feel they need to read everything from everybody. It honestly is time to let that go. The truth of the matter is that you are always going to miss out on something. But that has always been the intention. Ever since Babel happened, we have been missing out. Either by physical distance, language barriers, cultural differences, but we have been missing out. You might feel that I have just enlarged the scale a bit. So, lets bring it back to local proportions. I am sure you have had it happen where friends had gone to a movie that you had not seen. On a night when you might have been available. But because they set the appointment on the sidelines of the football pitch, you did not know about it. That is what social media is like as well. You can not follow every conversation, respond to every message or event or even attempt to. That is why good social media use comes with an attitude that allows you to “let go”. To realize that as you are following 300 people on Twitter, you will not see everything they post. And the same goes for your 800 Facebook friends. But you can still be friends and keep up with what is happening. You just will not see all of it. As it is unnecessary to see everything anyway. It is not that before social media you spent the first half hour after meeting a good friend catching up chronologically on everything they had done in the past two weeks. And your relationship never collapsed then either. Did it? So, do you let go? Or do you think it is vital to see everything that is happening in your timeline? Let us know in the comments below. 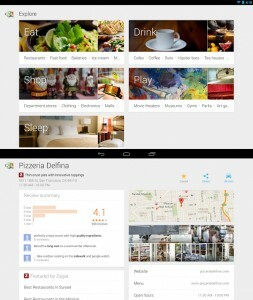 Last night Google has started the roll-out of the new version of Google Maps for Android devices. The new Google Maps adds traffic information, suggestions for alternative routes and a great new view to explore your area. On of the great updates for Google Maps has been the inclusion of information on traffic, road works and closed roads. This brings Google Maps closer to the upmarket navigation systems as well as closer to other mobile apps that did include that information. I think that this inclusion will be one of the first features we will see Maps inherit from former opponent Waze. Waze was acquired by Google about a month ago for an estimated U$1.1 billon. This update to Google Maps could show us that integration of the technology of Waze into Google Maps might be closer than we think. For now, we can all enjoy better routing and suggestions for shorter travel times. And that is a definite improvement. Whether it has to do with the new active routing or whether Google has had other reasons, fact is that offline maps have vanished. From 7.0 users no longer have the option to easily store maps offline on their phone so they can navigate without using a data connection. The decision to drop offline maps might be because it was known not to be perfect all the time. However, for the real enthusiasts the Google engineers have included a work around in the app. If you look up the map information that you want to use when offline, you simply type “okay maps” info the search box and hit enter. The app should then store that part of the map, though you cannot use it for navigation without an online connection. Businesses will be grateful for the new screens to display their information. These are especially nice on a tablet. Here you can find lots of details about the business you are visiting. And the explore screen really helps you to find your way around your area. Whether that is a known or unknown area for you, it is going to be easy to find a place to eat, dance, watch or do something else. 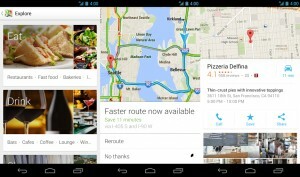 Google will be rolling out Maps in the coming day(s) to all its users that use Android 4.03 and newer. What do you use Maps for most? And what excites you in these new features? On July 10th, YouVersion celebrates its fifth birthday. And one with an extra reason for celebration. Just a little while ago, the YouVersion bible app has been installed on the 100 millionth device and the counter is still going. I have been using the YouVersion bible app ever since I got my first iPhone and as the first iPad landed on my desk, it was one of my first apps. And it has come a long way since. Personally, I find it inspiring to know that the whole idea behind YouVersion was conceived by Bobby Gruenewald in 2006 in a security line at O’Hare airport in Chicago. And he wondered whether we were at a point in time where technology could transform the way in which we engage with the bible. 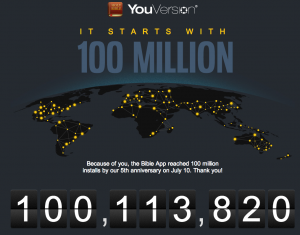 And that started YouVersion, which now reaches millions of people with scripture on 100 million devices. Again, congratulations to the YouVersion team. For having the vision, for building the app, but also for engaging people with the scriptures through initiatives like reading the entire bible across the world in 400 seconds. Those are fun ways to be brought back into the bible again and I am sure they are many more that have inspired people to pick up their bible again and got them to stick with it. If you want some statistics, this infogram was published by YouVersion on the 26th of June. It gives you a great overview of what is happening in YouVersion every second. Yesterday, Bluebox Security’s research team announced that there is a weakness in every single Android phone since Android 1.6. To put this in perspective, Android 1.6 was launched back in September 2009. This means that this problem has been present in most Android based phones that are currently in use. The official estimate is that it would extend to about 900 million devices, which is 99% of the android phones that are used today. Naturally Bluebox has shared the problem with Google in February 2013. This means that Google is now able to fix it. However, most of the 900 million handsets will not be protected any time soon. The biggest problem with the Android system is that it used by many manufacturers. That enables you to have a great choice of phones when you walk up to the store. However, all these brands have added their own special sauce to their phones and put an HTC, Samsung, Motorola, LG, Sony or other front on the phone that has been programmed in the base version of Android. In itself that is not a problem and it helps a user enjoy their phone that much more. But it often stops manufacturers from updating the firmware on the phone as they do not want to lose their custom development. Which is understandable, but it puts their customers at risk as there will be no more security updates. So, is this the time to run away screaming? Not really. Yes, there is a vulnerability and yes, Bluebox is going to share it with the world at the end of this month. However, the biggest risk is when you install apps from sources that are not trusted. Granted, with Android there is a bigger risk that that game that looked so appealing is in fact a malicious trojan virus, but if you stick to the larger publishers, there is a pretty good chance you will be safe. Safest is obviously to keep your Android phone as updated as you can. What can go wrong with your phone? Now this is the troubling part. If set up correctly, a malicious app can take over your complete phone. It can not only access all your contacts, messages, emails, documents and more, but it can also dive straight into your phone’s firmware. This means it can make calls, send messages, switch the camera on and off or even use your phone as part of a worldwide network. In essence, it is much better to try and stay as far away from this as you can. Though we at Techpastors cannot tell you how to completely protect yourself, we thought that this was important enough for you to know. And how real is this? Well, the image on this article shows the device information for a phone. This phone has been infected by the Bluebox team and it has changed the Baseband version to a new name which includes Bluebox. This value can not be changed by anything or anyone but the firmware, which shows that is is a serious matter. Canon launches new 70D, your new all-in-one for pictures and video? 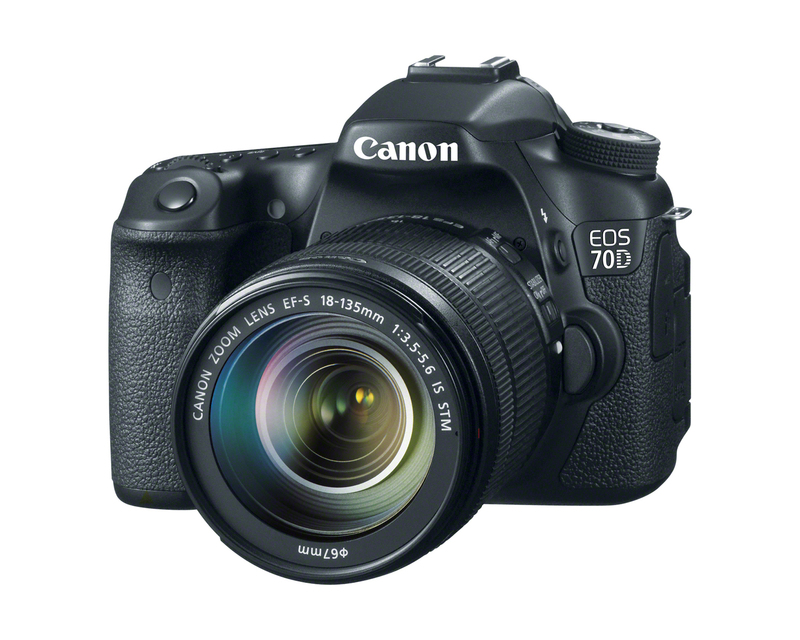 Yesterday, Canon launched its new 70D camera. And with its launch, it seems to openly attack the camcorder market. The new 70D is able to shoot great pictures, but the main attention goes out to Canon’s new Dual Pixel CMOS AF and Movie Servo AF systems. With these, the DSLR is said to focus as fast as a regular camcorder. So, how interesting is this new camera? On paper it looks great. The 20.2 megapixel sensor should be able to supply you with great quality and crisp shots. Obviously the EOS 70D is compatible with all your Canon lenses, so that can save you a lot of cash. And as a multi-device person, I am really interested to see the new wireless capabilities at work. Canon claims that the 70D can connect with all your iOS and Android devices to easily share your images amongst them. The Android and iOS apps also come with remote control facilities so you no longer have to run to the camera to get yourself in that group shot. And for those who want to use filters, Canon has built in creative filters. Though I wonder why you would want to use those on your camera. I would use those on the device I wanted to share the photo with. And save the orignal. But the biggest news is the zoom. Canon has shot a nice little movie for us to enjoy and to see what the new 70D is capable of. They claim that the zoom is faster and more accurate. They also claim that the 70D will have much less motor noise, so you can still enjoy the sounds recorded by the stereo microphone while the lens does its thing. But to me the presence of a jack to which you can connect your external stereo microphone is much more important. After all, that is where real sound quality comes from. So, is it worth it? Without having actually played with one, I would think it would be. Especially in this day and age where we are sharing more video and images all the time. This could be the ideal all-in-one tool to record your promotional videos, shoot great pictures of what is going on and really capture the essence of what you are doing. Whether you are creating a well for a tribe in Africa, doing a youth night, or just want to get a story across. The 70D might just be the one thing you would need to cover it all. Enjoy the movie and imagine for yourself the opportunities you have to share your experiences, thoughts and images with the people around you. Last week, popular live streaming network UStream announced that live broadcasts of weddings are up 250% over last year. This means that between May 2012 and May 2013 almost 20,000 weddings have been shared with friends and family all over the world. An amazing number. And a number that shows that video broadcasting is no longer just the playground of the large networks. It is for everyone now. Many couples see the ceremony in the church as the most important part of their wedding day. Which makes it ideal to share with friends and family all over the world. So, have you considered how to cater for this in your church or at your location? If you already have a team that does audio and video for the church, can they link up to an outside network like Ustream? And if you don’t have a team, have you thought of the right spots for people with camera’s to cover the best moments? Live broadcasting is becoming more and more important for people. They want everyone to experience what they are experiencing. The Vine and Instagram Video apps have shown that for social media networks. But Ustream has been doing this for much longer. I remember live streaming a ride on the German autobahn through Ustream in 2008. Back then, it still was a hassle to do a live stream. These days, you need nothing more than a smartphone with a good camera to send out your broadcast. Obviously you can improve on quality by using better equipment, but to share an experience, that might not be necessary. The same that goes for the wedding ceremony also goes for your regular church service. There are many people out there that are not able to attend a service, or are not aware they want to be in one. However, statistics show that the number of Google searches for Jesus has gone up. More people are looking, and it is up to all of us to give them something to look at. Something to experience. Whether that is a great wedding ceremony or the ‘regular’ Sunday service. It is a way to reach out to people within and outside your direct community. Ustream put together a nice infographic on wedding live streams.